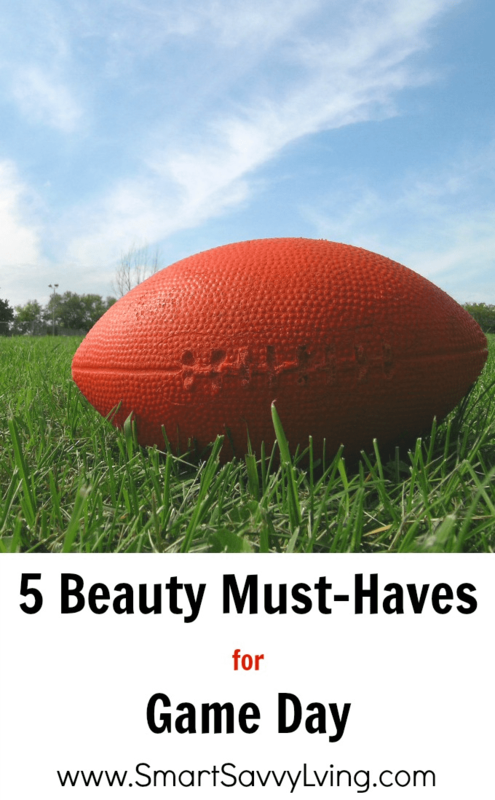 This post with my 5 beauty must-haves for game day is part of a sponsored post written by me for SheSpeaks/P&G. 1. A good toothbrush and toothpaste. Part of the fun of hosting a game day party is to cheer on your team. I’m always paranoid about bad breath so one of the last things I do right before guests come over is to brush my teeth. While it took forever for me to jump on the electric toothbrush bandwagon, my mouth feels SO much cleaner when using one, like the Oral B Vitality that even has a two-minute timer so you know you’re brushing your teeth long enough. 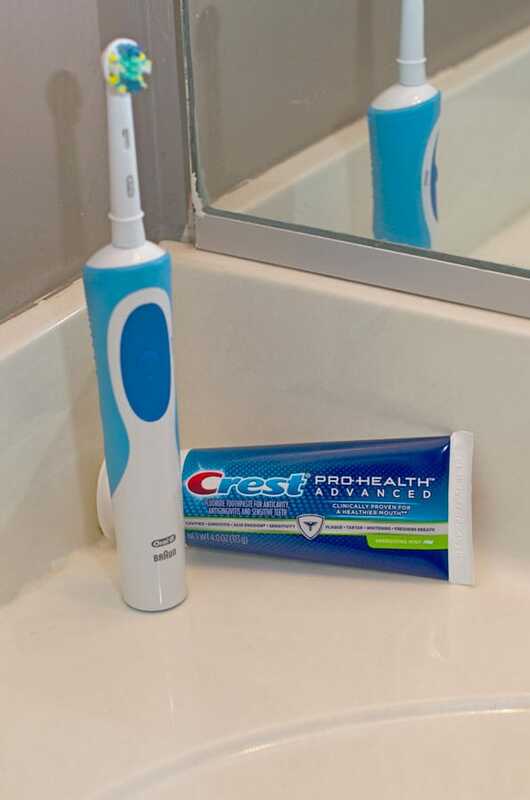 Crest Prohealth Advanced Toothpaste is also pretty awesome to use as it helps your gums be healthier and protects your enamel starting from day one of using it. 2. Easy makeup favorites. I’ve never been the type to wear a lot of makeup, even before I started working from home. But, I do like to make a good first impression and put forth a bit more effort when having guests over. 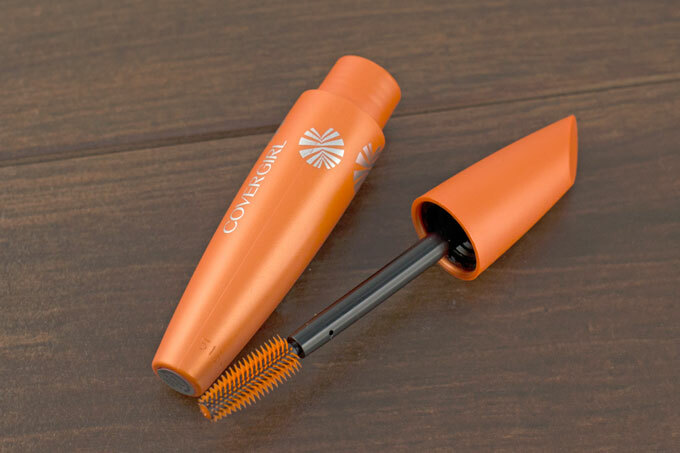 So, I use some of my quick and easy makeup favorites like a tinted lip gloss and COVERGIRL LashBlast Mascara. Hopefully, you won’t have to cry over your team losing, but it comes in waterproof just in case you do. 3. A good razor. This season the weather has been totally unpredictable. One day it’s in the 60s and 2 days later we’re getting a half foot of snow and it’s so cold at night I’m worrying about the pipes freezing. Crazy. Since it’s mostly been a warmer season, though, I have been wearing a lot of sleeveless shirts indoors. I prefer smooth skin so I shave quite often and would honestly be rather mortified to be throwing my arms up in the air during the game with hairy pits for everyone to see, so I always have a good razor on hand. Yes, I am a woman and, yes, that is a men’s razor. 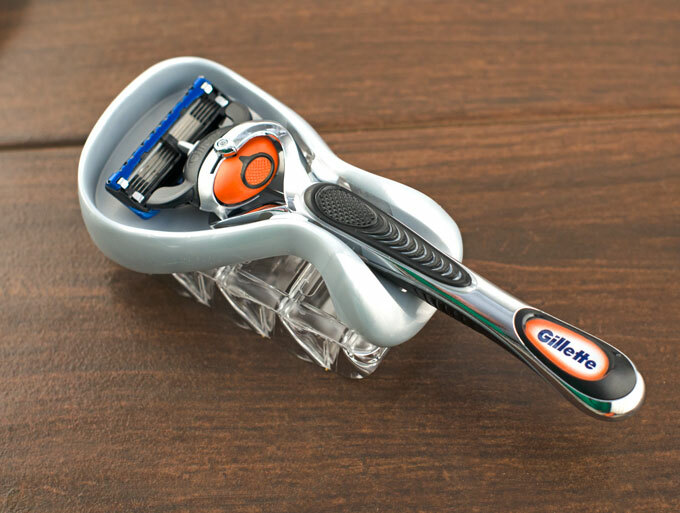 I honestly find they work better than women’s razors and usually they’re a few bucks cheaper, too. 4. Flake-free shampoo. It’s winter which means the air is drier and many of us have to deal with dry, itchy, flaking scalp. It’s not something I like admitting, but it’s something I deal with myself. I’m totally cool with it snowing inside, but not on my clothes and guests as I’m cheering my team on. Ick. So, I have to use a shampoo that gets rid of the irritation and flakes, ala Head & Shoulders. 5. Game Day gear. Okay, so I’ll admit I’m not a seriously serious sports fan. I’m honestly there for the food and commercials. But, it’s still fun to pick a team to cheer on and get into the spirit of the game by wearing some of your favorite game day gear like jerseys and hats, and maybe even some face makeup. I have to admit that I am bit more excited this year since I’m originally from North Carolina and the Panthers will be playing! 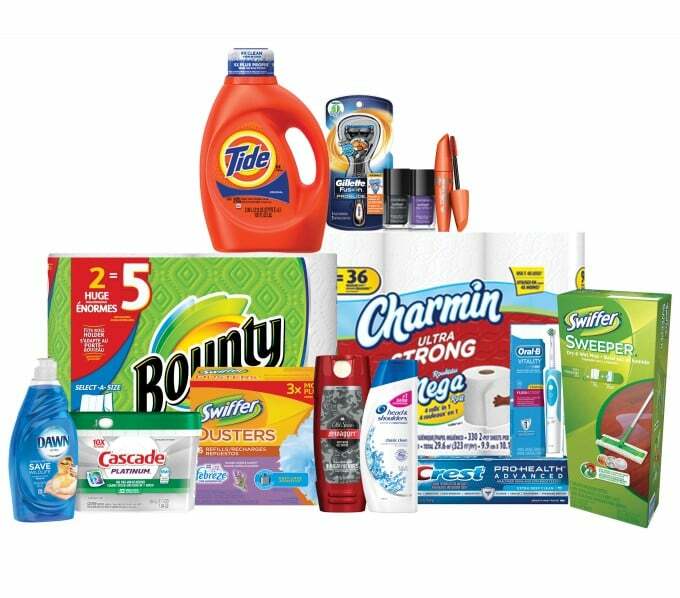 Check out some other awesome P&G products to use for your game day traditions available at Walmart.